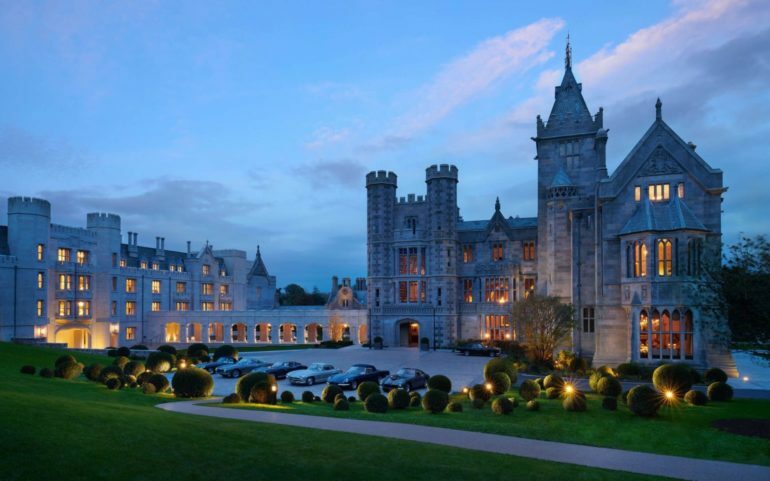 Adare Manor is among the world’s most luxurious properties and while County Limerick may not be the most obvious choice for an indulgent getaway, this part of Ireland has plenty to offer. Fascinating history, stunning scenery and charming people puts the small town of Adare firmly on the map. 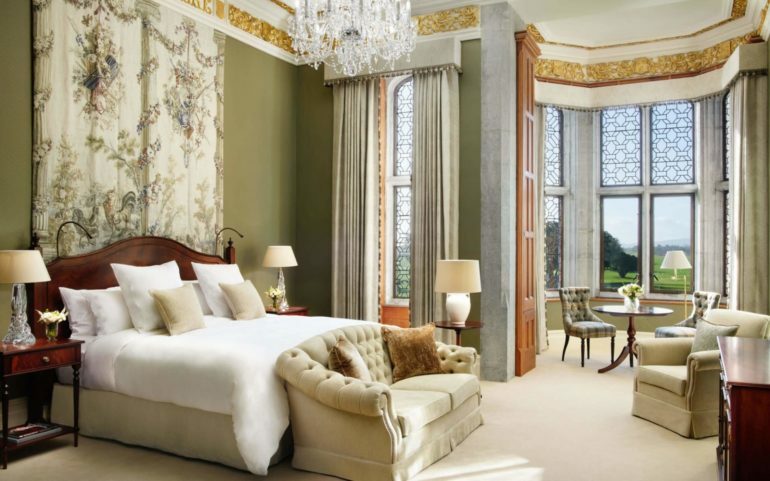 Thanks to the presence of Adare Manor, it also features one of the most opulent resorts in Europe. From the moment you arrive at this exquisite estate in the depths of rural Ireland, it is obvious that the hotel has benefited from significant investment. Owned by JP McManus, the property is vying to host a future Ryder Cup and it boasts a spectacular hotel, stunning spa and challenging golf course. The latter is due to reopen this spring following some key changes to its design. A star-studded Pro Am, which promises to be the golfing tournament of the decade, has already been confirmed for 2020. 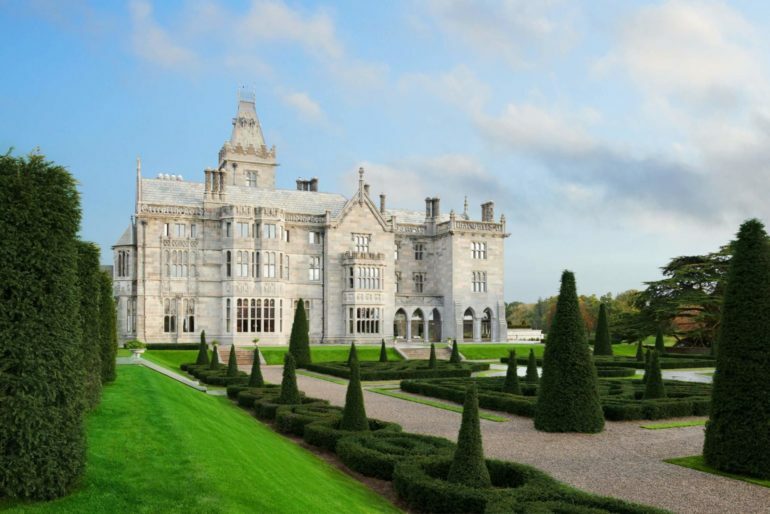 The latest refurbishment of Adare Manor, which was completed towards the end of last year, is rumoured to be one of the most expensive hotel renovations in Europe. The results are nothing short of outstanding. No stone has been left unturned and Adare Manor expertly combines traditional décor with cutting edge technology, beautiful furnishings and excellent facilities. The imposing façade takes your breath away on arrival and the approach to the property is through a long private drive. It carefully navigates the golf course and fast-flowing River Maigue, which surrounds the main building and gives guests the feeling of arriving at an enchanted castle. Adare Manor has a rich heritage. It was formerly a private house and home to the Dunraven family. The family had great aspirations for the property and they were responsible for developing the magnificent architecture during their residence, which spanned a number of decades. There is a sense of gothic drama and the property has been inspired by European cathedrals and chateaus. The Great Hall Reception sets the tone at Adare Manor. It has sky high ceilings with dazzling chandelier centrepieces that contrast with the impressive stone columns and statement fireplace. The room is majestic and certainly has the ‘wow’ factor. This is a theme that runs throughout the property and the drawing room is equally inspiring. With views of the gardens and regal furnishings, this is the perfect place to unwind with a pre-dinner cocktail or glass of champagne. The dining areas also impress and the Oak Room hosts Adare’s fine-dining offering. Striking artwork adorns the walls and the space balances intimacy with privacy. The tasting menu is expertly prepared to offer a diverse selection of options for each course. This demonstrates the agility of the award-winning Head Chef Michael Tweedie and tests the scope of the kitchen as no two orders are likely to be the same. Ingredients are sourced locally and the kitchen is equipped with all the latest technology to ensure every dish – including the coffee serving – is flawlessly presented to diners. The five course menu was a joy from start to finish. Among the highlights was the salmon, wasabi, radish and apple dish, as well as the venison and black truffle mash. The pudding was delicate yet filling and a Michelin Star is doubtlessly on its way. The wine list is extensive and the Head Sommelier, Jurica Gojevic, is on hand to provide the perfect pairing for each course. 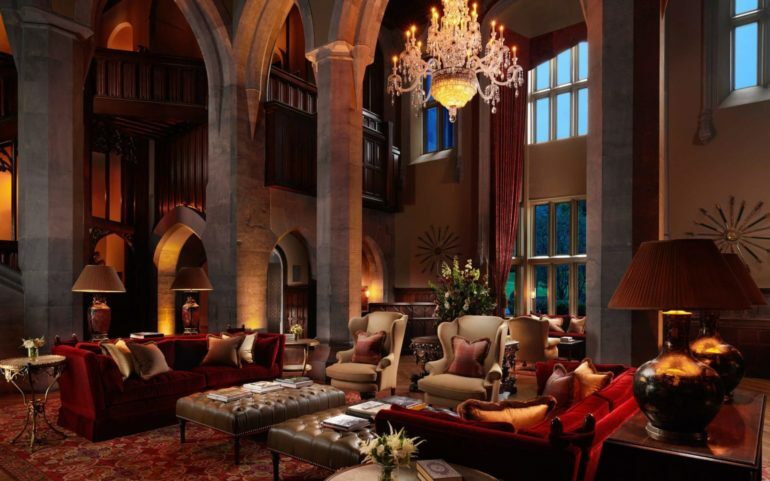 Adare Manor has been lovingly restored, with great care taken to preserve its originality. This, combined with an injection of modern technology, offers faultless convenience to guests and results in a world-class destination. The rooms are particularly notable and there is a wide range of choice. The Dunraven State Rooms were once the private apartments of the Earls of Dunraven and their families and these have been designed to give guests an experience of a traditional country house. Meanwhile, many of the Signature Suites offer stunning views of the grounds and golf course and the Staterooms also have impressive features. You could spend hours simply gazing out of the window and watching the herons feed from the river. The bathrooms at this hotel are beautifully designed and there is heated flooring throughout much of the accommodation. Automatic curtains, mood lighting and iPads contribute to a feeling of modern luxury, without compromising on the classic standing of Adare Manor. You can enjoy a consistent level of luxury throughout the property and move effortlessly from room to room experiencing an uncompromised level of indulgence. The new ballroom is spectacular for those considering Adare Manor as a wedding destination and if you are seeking a family getaway, the cinema room is popular with children. I travelled with a baby and the hotel went out of their way to make my little one feel just as welcome as her mum. She had her own mini bathrobe and a special box of baby-friendly toiletries. The attention to detail is second to none and often it is the little touches that really set a venue apart from others. The spa is the perfect place to unwind for ladies while their partners play golf and it is also ideal for relaxing after a busy day of outdoor activities. Many visitors make the most of horse-riding, falconry and cycling, so the spa is a welcome end to the day. The compact pool is positioned in a bright setting and the area acts as a quiet sanctuary for those seeking some solace. The treatment rooms are divine and the spa uses products by the acclaimed skincare brand La Mer. In addition to using the very best lotions and potions, the facials and body treatments can all be made bespoke to ensure you get the very best out of your spa experience. 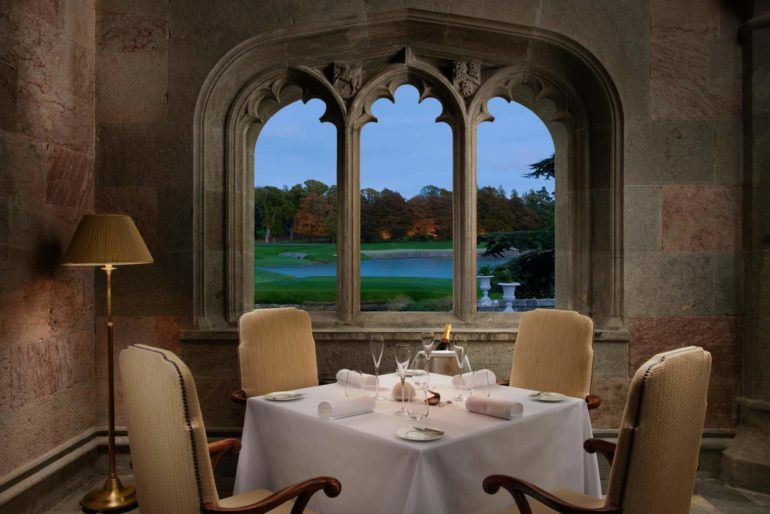 Located only 30 minutes from Shannon Airport or 90 minutes from Cork Airport, Adare Manor is a magnificent resort. It is perfect for those seeking an ultra-luxurious escape in the heart of the Irish countryside and will suit couples, families and business executives alike.